Club Parlament is a whole new concept of premium entertainment. Club Parlament is located in Senjak, in elite part of town, near Belgrade Fair. This club was created as a vision of few people, true traveling clubbers. Their desire was to create a club, which will express their experience from traveling and parting all over the world. They wanted a club, which will provide ultimate fun, as for local people, as for foreigners. As you enter the club, you will get a right picture. The interior of club Parlament is designed, so you don't have a bad place in it, and whereever you are, you will fell great and relaxed. Starting with bar tables and large counters made of finest wood, across the large bar, where you can enjoy in amazing cocktails, to large and comfortable booths. With warm interior, excellent music program and professional staff, this club represents synonym for high quality entertainment. Friendly place for true clubbers. Club Parlament, as a top dance club, with House, RnB, hip - hop and Trep and twerk sound, themed parties, unusual types of drinks, such as jellies, shots and Candy Cocktails... Heated atmosphere until morning hours will definitely keep you warm during winter days. We invite you to club of top entertainment - club Parlament. 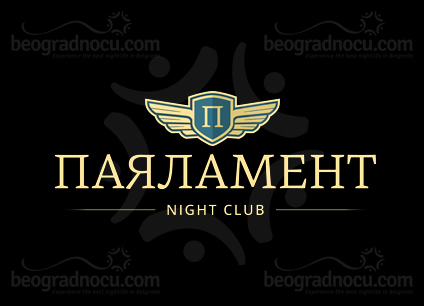 Because you manage the nightlife in Belgrade.